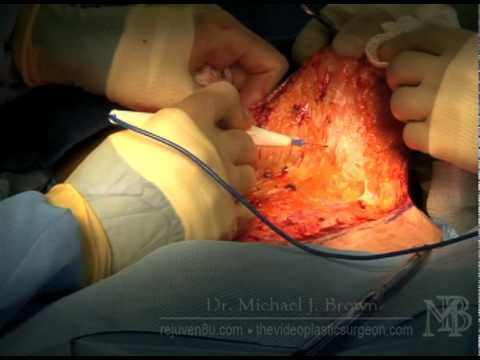 Ashburn, VA board-certified plastic surgeon Dr. Michael J. Brown regularly works with women who wish to have their pre-pregnancy shape back. While childbirth is an amazing and miraculous moment for many women, it usually does change the tightness and shape of certain body parts — and could leave one feeling a little frustrated. The most exciting news is that it is achievable to reclaim a youthful, slimmer, tighter figure with the assistance of the mommy makeover surgical procedure performed at The Loudoun Center for Plastic Surgery. This body contouring treatment uses a combination of skin tightening and fat reduction methods to reshape both the upper body (arms and breasts) and lower body (such as the tummy) — virtually any body part affected by nursing, weight gain or loss, etc., can be repaired. Furthermore, nonsurgical remedies can be incorporated to correct surface imperfections, such as skin problems or stretch marks, from the rapid stretching and fluctuation of the skin, tissue, and underlying muscles during pregnancy. Ideal candidates for body contouring and mommy makeover are individuals who have undergone pregnancy, childbirth, and nursing, and have tried to get a toned, slimmer appearance through a consistent healthy lifestyle with little result. For many women, surgical intervention is recommended to attain their pre-pregnancy figure. If you are past childbearing and are displeased with the imperfections remaining on your body, such as lifeless, deflated breasts, wrinkled skin in the abdominal area, or undesirable areas of fat tissue in the hips, thighs, and buttocks, this procedure could help you. The overall goal of Dr. Brown is to help you reclaim your pre-pregnancy body so you can get back to living life without additional concern about your body. The mommy makeover procedure is a body contouring surgery tailored for each woman by plastic surgeon Dr. Brown based on the areas of concern to be reshaped. A variety of procedures can be paired together — the most popular treatments are liposuction of the flanks and lower back, as well as breast lift surgery, breast implants, and tummy tuck surgery. The mommy makeover surgeries are performed while the patient is under general anesthesia, lasting 3 – 7 hours, depending on the complexity. Also, a day-long stay at the hospital might be necessary. It is common to also incorporate nonsurgical skin procedures, such as an injection or a laser treatment, to smooth facial wrinkles and diminish surface issues. Once leaving the hospital, you will begin to recover at home with rest and the post-operative instructions we supply. Recovering from this surgery is generally a gradual process. 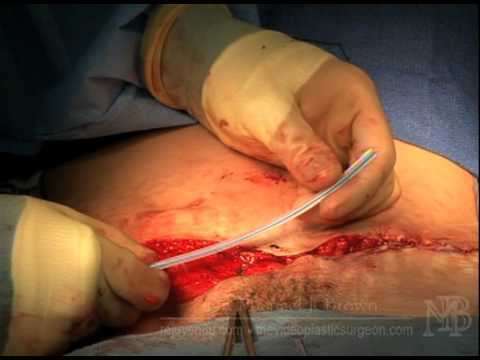 Moving around and walking straight will be difficult the first week or so, and a step-by-step at-home healing protocol will be provided to help the incisions heal properly. Most patients find the healing process can last around six months. Even while the primary recovery could take months, the majority of women are able to return to a somewhat normal routine within several weeks. Exercise should be held off for around two months. In the end, the mommy makeover procedure at The Loudoun Center for Plastic Surgery can be an amazing journey for women, providing them with renewed self-esteem once again. Mommy makeover costs will vary, depending on which procedures are part of your surgical plan. During your consultation, Dr. Brown will develop your treatment plan and then he will be able to discuss possible costs. A mommy makeover is about rejuvenating your body after having children so it is best to concentrate on getting amazing results rather than shopping for the cheapest surgeon. The Loudoun Center for Plastic Surgery takes several payment methods, and we can give you information on finding low-interest financing to make your mommy makeover affordable. During your consultation with Dr. Brown, he will understand your wants and needs before performing a physical examination. Following this, he can give you suggestions on what to include in your treatment plan. Often, women want breast surgery (an augmentation, lift, or both) together with a tummy tuck and liposuction. Childbirth and pregnancy are hard on your body, which is why nonsurgical procedures usually are not enough to produce significant improvements. In your consultation, Dr. Brown will go over both nonsurgical and surgical treatments. After listening to your concerns and goals, he will tell you if these procedures, like nonsurgical liposuction (including CoolSculpting), vaginal rejuvenation (like ThermiVa), or noninvasive skin tightening (for example, Thermage or Ultherapy) may be helpful. Although a mommy makeover gives you a rejuvenated figure, it does leave surgical scars. 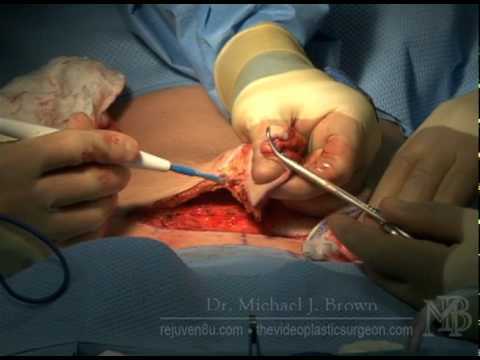 Dr. Brown will create clean, small incisions. Most scars will be placed so they can be hidden with swimsuits and underwear. When reviewing your post-surgical care instructions, Dr. Brown or a member of his team will give you tips on scar care so your sutures heal flat and eventually fade. Ideally, you should hold off on getting a mommy makeover until your family is complete so your results are not compromised. In most cases, all treated areas of your body are at risk for changing if you were to get pregnant again. Should you have another child after a mommy makeover, another surgery may be done to restore your results. If you want to stop feeling aggravated with your current figure while trying your hardest to lose those remaining pounds, we welcome you to contact The Loudoun Center for Plastic Surgery in Ashburn, VA to hear more about the body contouring options we offer. Lifeless breasts, excess skin, and other surface irregularities can be corrected with this custom surgery. During the consultation process, Dr. Brown will address your concerns and aesthetic goals and create a custom treatment plan to repair each area. Using the latest medical breakthroughs and surgical talent, it is achievable to regain the silhouette you desire.